Lightly breaded chicken strips served over mixed greens. Chilled garden greens with julienne turkey, ham, cheese, boiled egg, olives and tomato. Diced turkey, bacon, tomato, bleu cheese crumbles, eggs and olives. Tossed in our chef's own Oriental dressing. All sandwiches are served with a choice of French fries, cowboy potato or a cup of soup. Cut from prime rib and served with au jus. Thinly sliced roast beef served on a French roll with bell peppers, onions and cheese. Choice of roast beef, ham, turkey or tuna with Swiss cheese on grilled sourdough. Sliced turkey, tomato, mayonnaise and crisp lettuce. Our chef's special tuna salad with lettuce, tomato and mayonnaise. Turkey, ham and bacon stacked high on toasted bread. Char broiled with lettuce, tomato and mayonnaise. Served on a bun. Your choice of turkey, ham or tuna. Served with cottage cheese, fruit and tomatoes. Choice of soup or salad, French fries or cowboy potatoes. The original - broiled to order. Smothered in sauteed mushrooms, cheese and grilled onions. With ortega chiles and cheese. Melted bleu cheese and grilled onions. Served with grilled onions on rye bread. 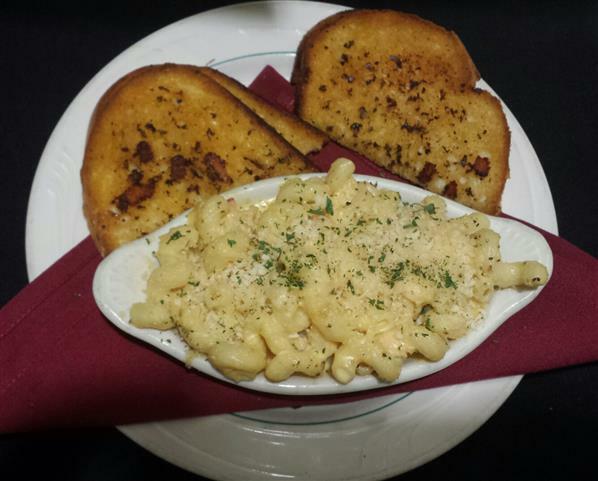 Entrees served with choice of soup or salad, cowboy potatoes or rice pilaf. 9 oz Top Sirloin cooked to perfection and served over garlic toast with onion rings. Fresh steamed vegetables and your choice of side. Seasoned and cooked to your preferred temperature. 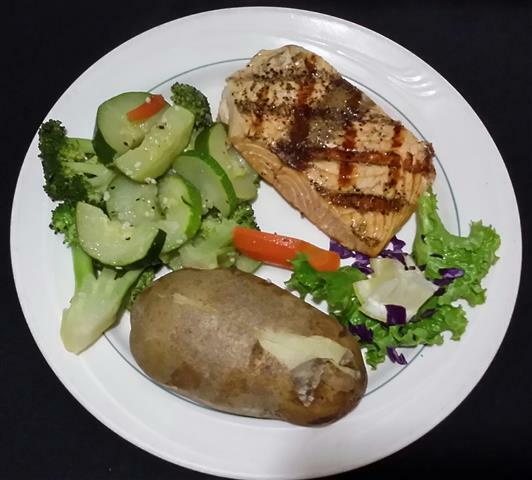 Served with fresh steamed vegetables and your choice of side. Ground sirloin cooked to temperature with sautéed mushrooms mixed in a brown gravy. Served with fresh steamed vegetables. 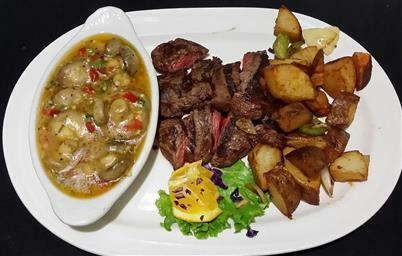 9 ounce Midwestern Angus beef seasoned to perfection then smothered with sautéed bell peppers, onions and mushrooms. 9 oz. Top Sirloin cooked to your liking then diced up for convenience. Served with cowboy potatoes and a boat of sautéed mushroom caps. With a creamy mixture of smoked Gouda, American cheese and Bleu cheese our cork screw shaped Cavatoppi noodles hold on to the perfect amount of cheese. Mixed with fresh lobster bites and topped with panko bread crumbs. Served with 2 slices of garlic bread. Grilled with capers and cream sauce. A favorite among regulars Grilled and served with dijon cream sauce. Grilled and served with a lemon and basil sauce. 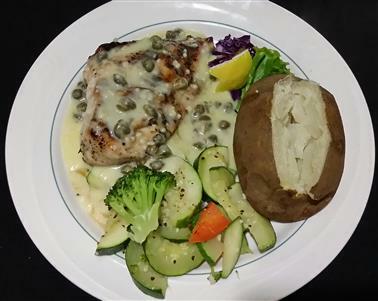 Grilled chicken breast served with a Lemon cream sauce, mushrooms and capers. 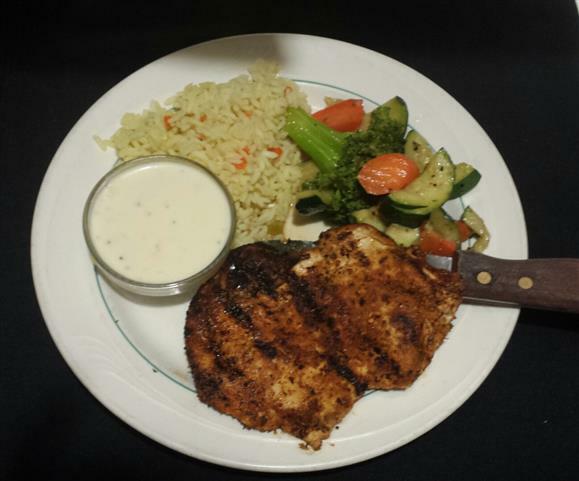 Grilled chicken breast seasoned with our house blend of Cajun spices topped with a beurre blanc cream sauced. Fettuccine noodles cooked al dente and tossed in an olive oil garlic sauce. Served with sautéed mushrooms, bell peppers, onion, black olives and tomatoes. Topped with a grilled chicken breast. 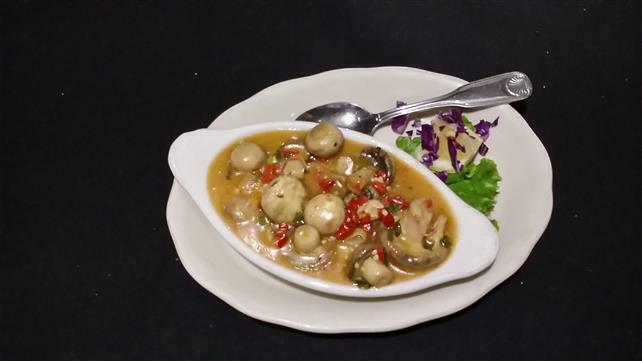 Sauteed and served with a lemon and mushroom sauce.